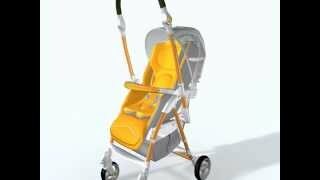 Capella Coni Mini Stroller is the ideal way to get around with your little tots. With its modern design and functional features, it’s great for city living and is always ready whenever and wherever you want to go your way. Earn 738 AgapeDollars for purchasing this product.